There are few varieties that perplex the wine-glugging public more than Pinot Gris. With such an array of names and styles, from super dry to syrupy sweet, how on earth are you meant to decipher what exactly lies within the bottle? 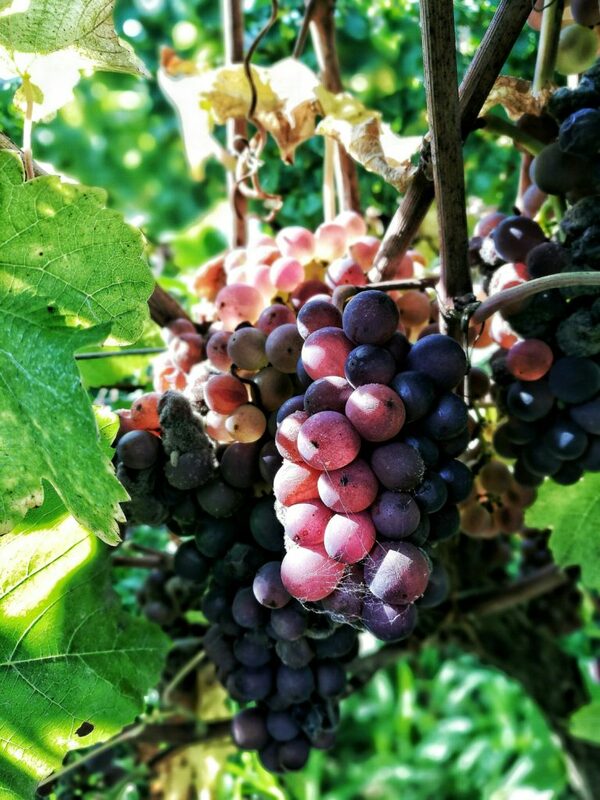 But, this multilingual variety is worth getting to know, as many a chef and sommelier would agree, so here’s the Wine Compass take on Pinot G.
Before we get started, we better tackle Pinot Gris vs Grigio head-on. I find a little context is useful for committing the differences to memory. Pinot Gris can be traced back to Medieval France, when, in one Burgundy vineyard, one bunch of Pinot Noir chance-mutated changing the black berry skins to a greyish hue. From here, the diaspora began and with each new planting in differing climates and varying soils, alternative interpretations of Pinot G were born. Of all the styles created on its travels, two European regions came to fore with contrasting takes on Pinot G.
Pinot is notoriously degenerate and has mutated more than once. Any variety with a Pinot prefix, think Pinot Blanc or Meunier, started out as Pinot Noir. The common familial trait is the pine-cone shaped bunch to which the French word ‘Pinot’ refers. Tucked away in a glacial valley of north-east Italy lies the Alto Adige region. This little pocket of winemaking activity can lay claim to the creation of Pinot Grigio. The alpine-continental climate gives each bunch of Pinot Grigio long afternoons in the sun, tempered by cool mountain breezes. This both helps to protect the vibrant, tingling acidity of great Grigio whilst building sufficient flavour ripeness. The classic Italian style is picked at least a month earlier than any Gris. The aim is to keep it lean, fresh and light in alcohol; the palate-cleanser-in-chief. As such, Grigio will often be fermented at cool temperatures in stainless steel to preserve the crisp fruit character. The undoubted stronghold of Pinot Gris is the region of Alsace, squeezed between the Vosges mountains to the west and the Rhine river to the east. Alsace itself has suffered the odd identity crisis over the years, changing hands between German and French rule 4 times between 1871 and 1945 alone. 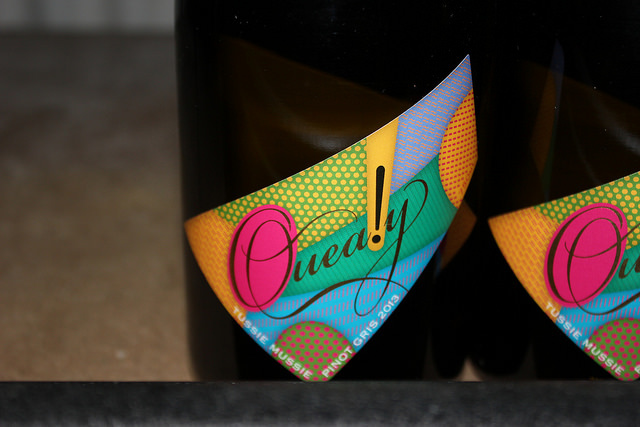 The French took hold of the baton last, yet, to this day, Alsace maintains a distinctly Franco-Germanic feel; think Pinot Gris meets sauerkraut. The best vineyards of Alsace, designated Premier or Grand Cru by the French appellation system, lie in the foothills of the Vosges mountains. The Vosges create a veritable playground for Pinot Gris, soaking up most regional rainfall and providing a warm, dry microclimate for alsaciens vignerons. This means each bunch can enjoy extended hangtime on the vine during the long ripening season and is picked at higher sugar levels with richer, more developed fruit character. Barrel fermentation – Oak can be employed in lieu of stainless steel for fermentation. This process builds texture and richness in the wine as it interacts with oxygen. These wines will also display flavours and aromas derived from oak, such as toast, sweet spice, vanilla or coconut. Wild yeast – a winemaker can choose whether to buy an inoculated yeast designed for fermenting a specific variety or let nature takes its course and use wild or indigenous yeasts found on the grape skin. Wild yeast, as the name suggest, is trickier to control, less efficient but when well-handled can result in some of the most interesting examples. Lees ageing – Once the yeast cells have finished their primary job of converting sugar to alcohol they die and sink the bottom of barrel or tank. 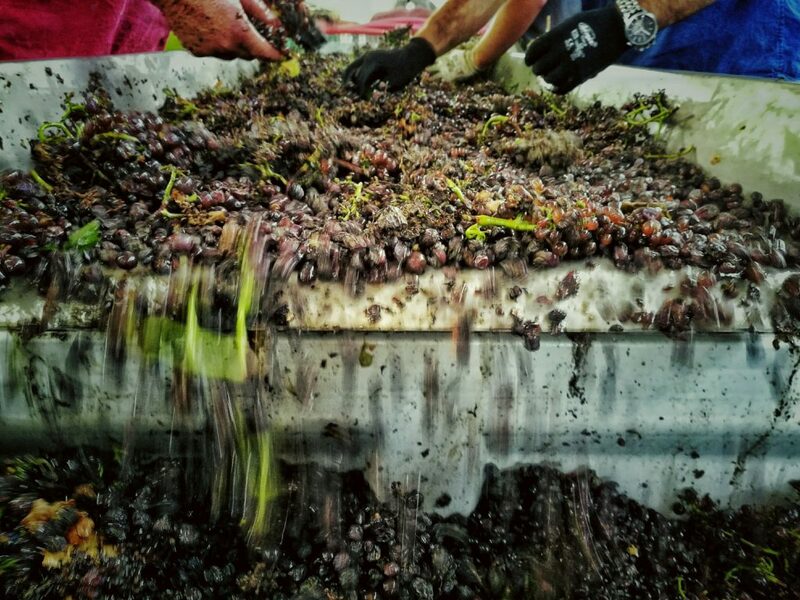 As they break down they continue to nourish the wine, releasing compounds that add richness and body to the wine. Malolactic fermentation – This is a secondary fermentation, meaning it’s not a necessity unlike the primary ferment for creating alcohol. MLF or malo, for short, focusses on converting sharp malic acid (think rhubarb or cooking apple) into creamy lactic acid (think, well, cream or milk) and is often used for your big, buttery chardonnays and pretty much all red wines. “Riesling is spiritual, but Pinot Gris is pure pleasure. It’s much easier at table than Riesling.